Here are the top eight Clint Eastwood movies. The movie, The Outlaw Josie Wales, was written at the end of the Civil War when feelings of anonymously, anger, and hate between the Union and Confederates were still relatively fresh. There is some liberties taken in this movie because not all Union forces captures the defeated Confederates and then gunned them all down, but Josie Wales refuses to surrender and turns the Gatlin Gun on the Union soldiers. This movie still ranks among his top 20 favorites but his fans rate it much higher. Unforgiven was directed by Clint Eastwood but he also starred in the movie. When a local prostitute is disfigured by two cowboys, the local sheriff, Little Bill Daggett (Gene Hackman) arranges for five ponies to be delivered to the prostitutes as compensation. This outrages the prostitutes so they pool their money together and offer a $1,000 reward for the death of the two cowboys. William Munny (Clint Eastwood) recruits his friend Ned Logan (Morgan Freeman) into helping him and a young brash, young man calling himself, the Schofield Kid (Jamie Woolvett). After the sheriff’s men kill Munny’s friend, Ned, he goes into town against all odds to take on the entire sheriff’s office. The Good, the Bad, and the Ugly was the last installment of a three-part Western “Dollars Trilogy which included A Fistful of Dollars and For a Few Dollars More. 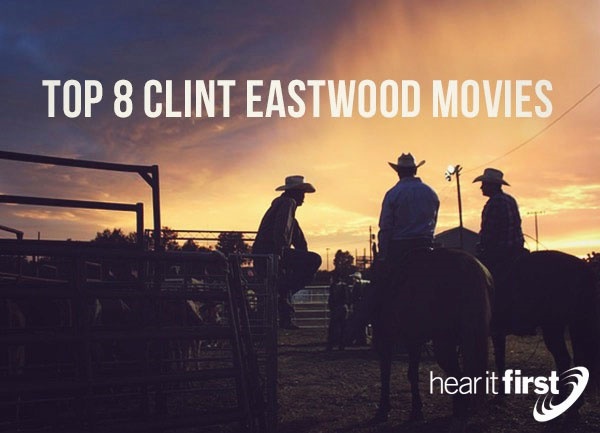 This movie may have established Clint Eastwood as one of the most popular cowboy figures in the movies at that time, being a distant second only to John Wayne. A bounty hunter joins two other men in an uneasy alliance against a third in a race to find the gold that’s been buried in a remote cemetery. This movie has the iconic “Mexican standoff” that was much later replayed in dozens of Westerns. There are the three of them, squaring off with one another for all the gold; the Good, Blondie (Eastwood); the Bad, Angel Eyes (Lee Van Cleef); and the Ugly, Tuco Benedicto Pacífico Juan María Ramírez (Eli Wallach). The Preacher, a later Western by Eastwood, also ended up among the top ten Clint Eastwood movies. It has special appeal, because like High Plains Drifter, no one really knew where he came from or what his real name was. He only went by Preacher and he brought a sword with him (in his guns). Only after the Preacher sees the rift between mining territorial rights is he somewhat force to act. He pulls out his guns from storage and takes off his preacher collar and sets everything right…only later to ride off into the mountains and disappear from the horizon, again very much like the High Plains Drifter. The movie, Escape from Alcatraz, is also another huge change in genre by Eastwood. He is usually on the right side of the law but when he plans to and does eventually escape from Alcatraz, he is now the criminal and not the cowboy, sheriff, or police detective and definitely on the wrong side of the law. This non-fiction account relates the story of a criminal, Frank Morris (Clint Eastwood) who hears firsthand from the warden’s mouth, boast about the inescapable Alcatraz. He boasts that no one has ever escaped Alcatraz, and no one ever will…at least until Morris does. Here is where Clint Eastwood actually plays a law officer, a U.S. Marshal. In Hang ‘Em High, set in Oklahoma in 1889, Marshal Jed Cooper (Clint Eastwood) tried to keep the law in a very dangerous time and place and that’s because there wasn’t enough Marshall’s to cover all the Oklahoma Territory at that time. When Copper is accused of cattle rustling, they attempt to hang him and left him for dead, but in a strange twist of fate, Cooper is rescued by a Federal Marshal (Ben Johnson). Judge Isaac Parker then commissions Cooper to go find and bring back these men for trial, but they’re not willing to go voluntarily (all but one) so Marshall Cooper obviously has to use force to bring in those who illegally tried to hang him. I could well have included several others but I didn’t rank these in the order that one site had but from several sites that I checked and most of these showed that these ten movies by Clint Eastwood most consistently ranked in the top ten in sales, by Hollywood, and by viewer ratings. Personally, I liked Unforgiven because I can relate to it, passing my physical prime and being somewhat uncoordinated now, but this movie proved that old age isn’t an impairment or disability. Rather, it gives one the experience to discover what’s most important in life and when you know the highest of priorities (Mark 1:15; John 3:36; Acts 16:30-31), you know what you must do (Rom 10:9-13).